Written by Adrian Hodges, the series charts the fortunes of The Musketeers, an elite band of soldiers operating in 17th century Paris. 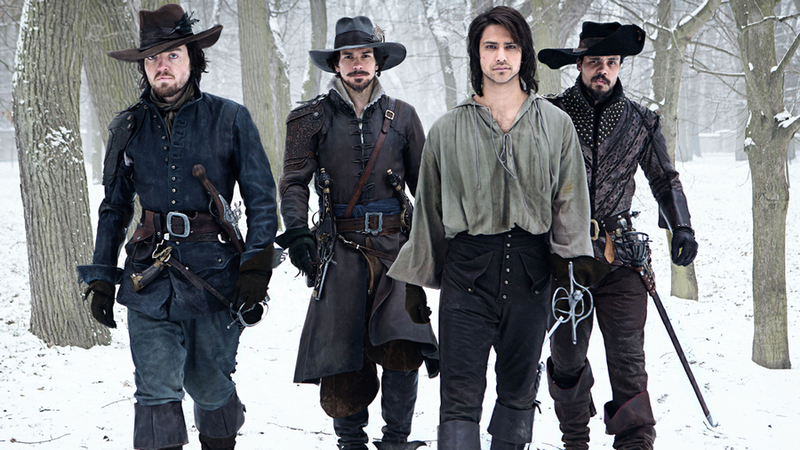 D’Artagnan (Luke Pasqualino), Athos (Tom Burke), Aramis (Santiago Cabrera) and Porthos (Howard Charles) fight for what is just, and are heroes in the truest and most abiding sense - men we can trust and believe in to do the right thing, regardless of personal risk. The accomplished cast also includes Peter Capaldi, Tamla Kari, Maimie McCoy and Hugo Speer.